This is a personal portfolio collection of Joel Desgrippes and Marc Gobe. 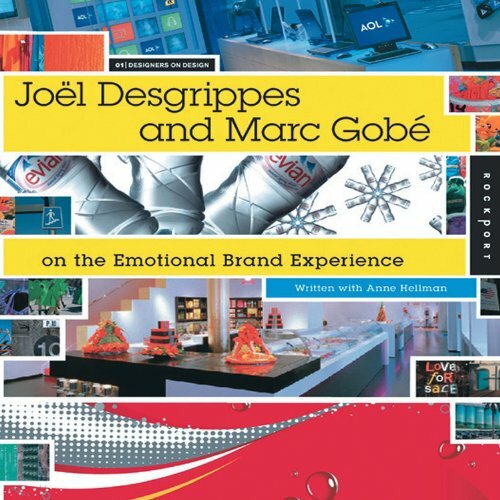 The book includes interviews with Joel Desgrippes and Marc Gobe right at the beginning, which talks about their background, design firm and methodology. Also included are 51 case studies on their projects. It's an impressive portfolio with big name clients like Air France, Gillettte, Travelocity, Coca-Cola and many others. If you have noted, that included both offline and online companies. The captions are in depth and detail. They explain the goal, the challenges and the execution. The photos included emphasis the points they make and the brand the client is trying to portray. It's basically talking about how design, applied across all the marketing materials and products, can be used to build and reinforce on the brand. The meaning of each design element is well explained. An example is the design of the Coca-Cola can, in terms of the physical can, the packaging, the script logo and the colors. This is a great book for product designers and marketers.